You may remember that last year at Christmastime I received a cardboard Christmas tree from Cascades Boutique. This year, Cascades offered me another review, but this time for a playhouse for the children I watch in my home daycare. Because the Christmas tree was such an amazing and unique product, I couldn’t say no. We received the Children’s Cardboard Playhouse and, like the tree last year, it didn’t disappoint me. 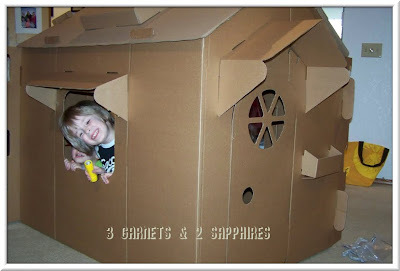 Cascades uses lightweight, but very strong, corrugated cardboard so it is very sturdy and doesn’t break down easily. Plus, it’s made from biodegradable and recycled cardboard, so it’s a very eco-friendly way to play. 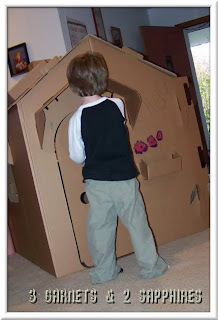 The children loved this playhouse as soon as I took it out of the box. They loved helping me use the simple instructions to assemble it and had a blast unleashing their creativity to decorate it. It is very amply sized, so it was more than accommodating for several of them to play at once. 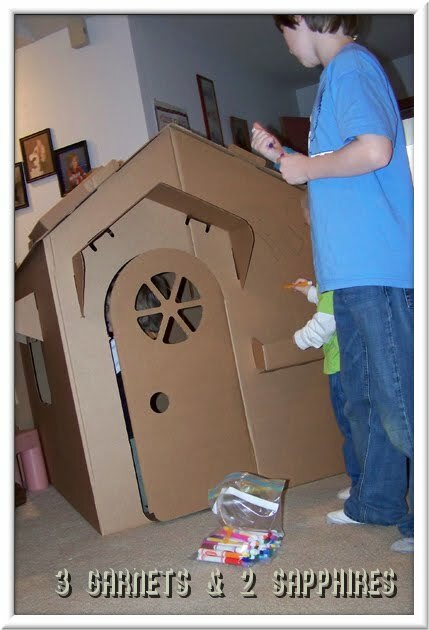 They loved the windows, skylights, chimney and working doors that made this playhouse more realistic than anything they’ve ever done before. I love that, to store it away, I just disassemble it and it stores flat. My Christmas tree from last year is still usable one year later, so I know this playhouse will last for a good, long while. You can purchase this and all Cascades Boutique’s amazing products on their website, boutique.cascades.com. 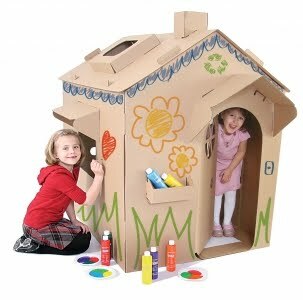 This playhouse retails for $49.99 and would make an excellent gift for any child in your life. 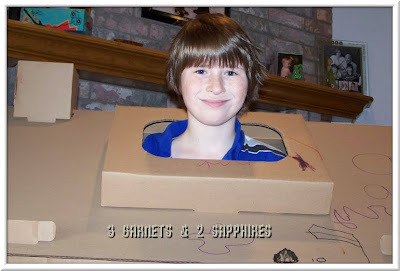 Through December 30th, 2011 you can receive 25% off any Cascade's children's furniture when you checkout with Code: 3GARNETS. Thank you to Cascade's for providing a complimentary product sample for us to base this review upon.